Marvel's Guardians of the Galaxy Vol. 2 hits theaters May 5, but you can help defend our blue planet before then by participating in the #GrootDanceBomb challenge. Inspired by the adorable, groovy Groot dancing toys, the #GrootDanceBomb challenge encourages you to bust out a dance move at an unexpected moment in the fashion of the lovable Marvel character. 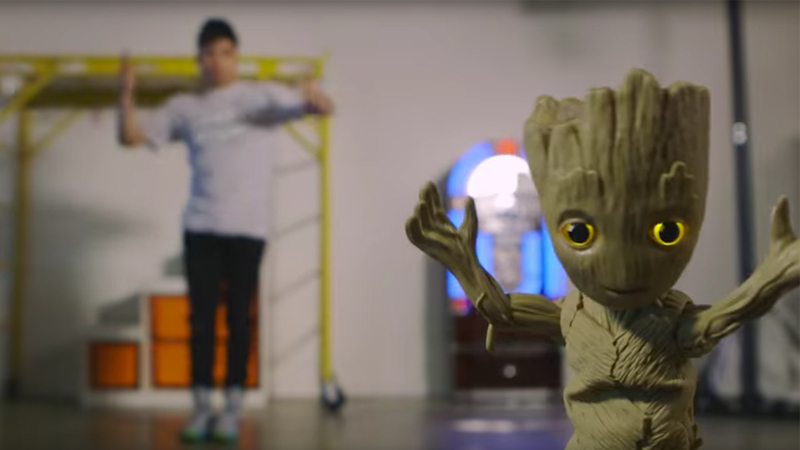 If your dance moves aren't up to par, you can also use a dancing Groot toy to surprise someone instead. But the challenge is more than just showing off your best outer-worldly dance moves, it's also helping the environment. "Marvel and the Disney Conservation Fund will direct a $1 donation to The Nature Conservancy to plant 1 tree for each action, for a minimum donation of $50,000 and a maximum of $250,000," according to a press release. To participate, like or share the above video on YouTube or Facebook, or post your own groovy Groot video on Instagram or Twitter with the #GrootDanceBomb hashtag. The Walt Disney Company is the parent company of Marvel Entertainment and this station.